Shop at Bonds via Shopcred and you can save money with our Bonds deals, coupon codes and offers. Plus earn rewards on eligible purchases which are redeemable as cash and join our conversations. Shopcred is the modern place to Shop. Use these working Bonds coupons when you buy clothes, undies, and socks for men, women, kids, and babies. Bonds deliver not only in Australia but several selected countries. 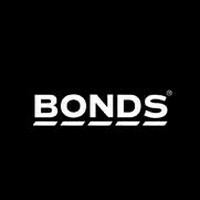 Bonds is an Australian company that started in 1915 and became a household name since then. 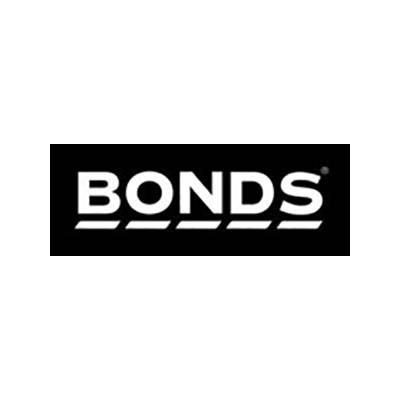 From becoming a sponsor of the 1964 Olympics to expanding its business around the world, Bonds remains one of Australia’s popular homegrown brand! Step 1. Add item to your cart and proceed to checkout. Step 2. At the checkout page, on the upper right, click enter code to show the coupon field. Step 3. Enter your coupon/promo code then click add. Step 4. Make sure the discount you are expecting is reflected. From tees, tanks, shorts, hoodies, and many more. From tees, tanks, trackies, activewear, dresses, and many more. Different clothes and styles for boys and girls. Free shipping on every item shipped to Australia. Free shipping is available in other countries as well, but usually if it is over $100-150 Aus dollars. Please check the shipping options page for more information. Standard shipping varies from country to country. Check the shipping options page for more information. Returns are only available for orders sent to an Australian address(unless the international order is damaged). Personalized items are also not allowed to be returned. To return an item, go to your profile and click on the Request Return button and follow the instructions.